To ensure the reduction of harmful emissions produced by the internal combustion engine, the lambda or oxygen sensor has become an important piece of technology. 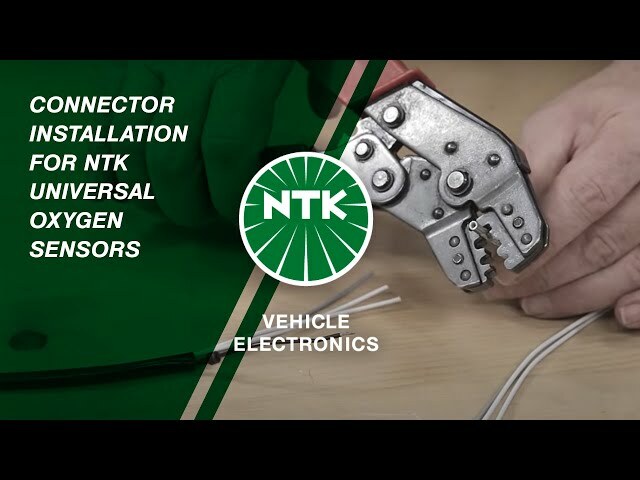 As the leading supplier of oxygen sensors both for OEMs and the Aftermarket, NGK SPARK PLUG is continually improving its oxygen sensors to make engines cleaner and more efficient. As proper conversion of undesirable gases can only occur at a set air-fuel ratio, an oxygen sensor has the task of precisely measuring the ratio present in exhaust gases and to inform the vehicle's ECU (Electronic Control Unit) in order to adjust the air-fuel ratio. This entire process not only helps effectively reduce harmful emissions, but also optimises fuel consumption and ensures a long service life of the catalytic converter. Modern cars are normally equipped with at least two lambda sensors, namely a front or regulating sensor installed in front of the catalytic converter and a rear or diagnostic sensor mounted after the catalytic converter. February 2016Connector installation for NTK Universal Lambda Sensors.